1. 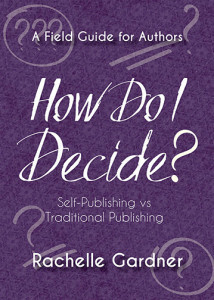 Traditional or Self Publishing? Did you know I have an e-book available on Amazon? How Do I Decide? Self-Publishing vs. Traditional Publishing can help authors figure out which path to take. How Do I Decide? is a concise, definitive resource that will guide you through the decision, allowing you to ignore the noise and hype and focus on the right path for YOU. This is a fair and balanced approach that avoids favoring one choice over the other—and instead shows you how to determine which best fits your own situation. About 50 pages jammed full of insider information, How Do I Decide? gives you the facts you need to make an informed choice. 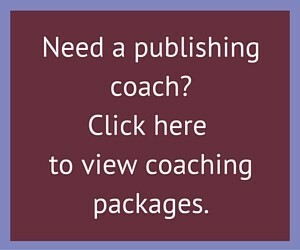 It walks you through the various steps of the publishing process so you can determine which road best suits your personal goals, temperament, and level of previous publishing experience. The e-book is only $2.99 on Amazon. Check it out if you’re considering which path to take! 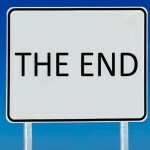 The post Traditional or Self Publishing? appeared first on Rachelle Gardner. I get mail! My inbox is always filled with questions. Today I’m answering some I’ve received on the topic of Query Letters. You’ve said on your blog, “don’t pitch a novel unless it’s complete.” Do you feel the same about query letters? Do we only query completed works, or are ideas fair game? If you are sending a query to an agent, only pitch projects that are ready to go. If it’s a novel and you are not previously published with a mainstream commercial publisher, this means a completed manuscript. For non-fiction, a complete book proposal and two sample chapters will do. (But the more you’ve written, the better.) Think about it: If I read your query and I like it, the first thing you’ll hear from me is, “Please send a book proposal and sample chapters.” If that looks good and I’m seriously considering representation, I’m going to ask you for everything you’ve got. I can’t sell to a publisher without the whole shebang (unless you are multi-published and a proven commodity). You can’t query an idea, because ideas have no value without execution. What about sending in a synopsis instead of a query? Don’t do it. Some people send a synopsis and nothing else, not even a salutation or a closing. IMHO, it’s rude and unprofessional. In fact, I received one today. Just a one paragraph synopsis. Nothing about the author. Just a line saying, “Email me if you’re interested in seeing more.” I wasn’t interested, so I deleted it without responding. I’m curious to know if there are any cliché phrases that you’ve found in query letters that writers absolutely, positively should avoid. The thing about clichés is that in a few cases, when used correctly, they can be perfect in a query, especially if they make the reader laugh. In most cases, however, since your query is a writing sample, your best bet is to avoid sounding hackneyed or derivative. The best advice I can give about clichés is another cliché: When in doubt, leave it out. I’ve heard about authors who strayed from standard guidelines and got picked up by a publisher or agent. Some people encourage us to do the same. We’re told to follow guidelines, then we’re told to stand out. I realize our writing will determine if we stand out or not, but what kind of things that stray from the guidelines would catch your attention in a good way? I don’t expect you to be slaves to guidelines, I just try to offer tips to help you put your best writing forward. With all guidelines (on writing, pitching, querying, etc.) try to see behind the specific advice and get to the basic truth. With a query, the basic truth is that you need the agent/editor to want to see more, or you’re sunk. It’s up to you to figure out how to accomplish that goal. Use guidelines to help learn the craft of writing and the business of publishing… let them go when you don’t need them anymore. I can’t say “what kind of things that stray from the guidelines would catch my attention” because that’s as individual as the person. Do you accept query letters for books that have been self-published? I ask this because I have one, but I’ve been seriously considering having it edited by a professional, rewriting it and then seeking representation for it. Yes… no… maybe. It’s a common question these days but there are too many variables. The most important consideration will always be how good your book is, and how well it has the potential to sell. 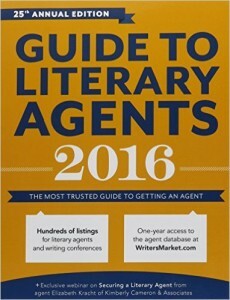 Most agents prefer you query with your next book, not the one that was self-published. But if you really want to give it a shot, I suggest a normal query to agents, including the self-pub information (release date, sales figures). You’ll find out soon enough if it’s catching anyone’s attention. I know the importance of addressing the letter to a specific person, not just Sir or Madam or Dear Agent, however, even though I feel as if I know you from reading the blog, Dear Rachelle seems far too informal. Is Ms. So and So acceptable to most women who are agents? Interestingly, I recently read some heated debate on another blog about the “Ms.” salutation. I was stunned to find that a few women seem to resent or dislike the term. Nevertheless, the correct salutation is Ms. Gardner or Mr. Smith. Once you’ve corresponded with the person, you can take your cue from how they sign their emails. I’m always just Rachelle and I’m okay being addressed that way. Personally, I don’t object to people querying with my first name rather than “Ms.” because I go to great lengths to be approachable by writing my blog. Could you please provide the pronunciation of the word “query” that won’t make agents/editors wince? Does it rhyme with PRAIRIE or EERIE? Leave it to an English teacher! Potayto, Potahto. Tomayto, tomahto. Your choice. Just make sure you use the preferred pronunciation of the editor/agent you’re talking to. (tee hee) As for me, I couldn’t care less how you say it. As long as you SPELL it right. Questions, thoughts or comments about query letters? Click on the icons below to share! The post Answering Questions about Queries appeared first on Rachelle Gardner. The post So Many Ideas, So Little Time appeared first on Rachelle Gardner. When you’re trying to interest an agent or publisher in your book, you’re often asked to provide “comps” — other books that could be compared to yours, or books that might compete with yours. A good book proposal always has a “Competition” or “Comparable Books” section, and even if you’re self-publishing, it helps if you give readers a frame of reference in the form of similar books. One of the most common questions I’m regularly asked is, “How do I figure out what books to include in my comps?” People get all hung up on it, especially with fiction. Do I look for books with the same premise or plot? Same time period? Same writing style? How do I know what to include? Ask yourself, “Who are my readers? What are they reading right now?” Those are your comparable books. You can use that line in a proposal, then follow it with the comparable books, and for each one, a brief explanation of why your book would appeal to those same readers. This approach frees you from trying to decipher what an agent is looking for, and instead, use those comps to identify your audience. If you can’t readily identify six to ten books or authors whom your potential readers are already reading, then you need to stop what you’re doing and get a lot more educated about what’s already out in the marketplace, and who your potential audience is. If you can’t identify your audience, then how will you or a publisher sell your book to them? Providing “comps” is all about helping your agent, your editors, your marketing team, and your readers to capture a vision for your book. Too often, writers tell me, “I’ve looked and looked, and I can’t find anything quite like my book.” You and I both know that’s a cop-out. Think about your potential readers, and figure out what they are already reading. It’s that simple. To read a little more about how to create a strong Competition section for your book proposal, click HERE. The one simple secret to providing “comps” for your book. Click to Tweet. Think there are no other books like yours? Think again. Click to Tweet. Providing “comps” for your book is as simple as knowing your audience. Click to Tweet. The post Finding Comparable Books appeared first on Rachelle Gardner. It seems in the last few years, dialogue about all-things-publishing has been focused on platform, marketing, increasing output, distribution platforms, technology, and self-publishing. But I think it’s important to call our attention back to the work. I’m not sure if my prediction came true. Are authors re-focusing on the writing? Some are, some aren’t. But here’s what I know: It’s easier than ever to get a book published because of self-pub and indie publishing. But it’s not any easier to write a good book. In fact, it may be even harder to write a good book than it was in days past, because both you and your reader have more distractions. You’re tempted by the Internet, your ability to concentrate for long periods of time has been compromised, and deep focus is more challenging. Meanwhile, your reader has infinite sources of information and entertainment. So a book has to be darn good to to keep both your attention and your reader’s. Now is the time to make sure we’re not minimizing the importance of mastering the craft. Platform is important if you want people to read your work. But ultimately, great writing is the best platform. A million followers are meaningless if you don’t have something worthwhile for them to read. 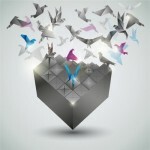 Marketing challenges, evolving technology, and competition will always be with us. But it’s irrelevant without a good book. I sense, out there in writer-land, an increasing focus on writing more-more-more. Many want to publish as fast as possible. Volume + speed = more money, or more success, or some such equation. But readers can only read so much. They’ll have shrinking patience for works that feel sloppily crafted and hastily written. The only way forward is the same as it ever was: run away from the noise, hunker down and wrestle mightily with your prose. As an agent, I’m here to help with the “other stuff.” Only you, the writer, can do the most important part. Write that book. And make it great. Let’s collectively settle into 2016 remembering that mastering the craft is the best object of our focus. There is a time for considering various publishing routes and promoting our works, but only when we have in our hands a book that is the absolute best it can be. So where are you on this? Are you mainly focused on craft, or do you spend a great deal of energy focused on other aspects of publishing? What’s the right balance? Let’s go into 2016 focused more than ever on the craft of writing. Click to Tweet. It’s harder to write a good book today – you & your reader have more distractions. Click to Tweet. A million followers are worthless if you don’t have something good for them to read. Click to Tweet. 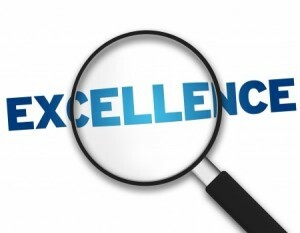 The post Focus on Writing the Best Book You Can appeared first on Rachelle Gardner. As a literary agent, I love attending conferences and meeting authors. My career is about helping writers share their words with the world, and at conferences I get to sit down with them and spend a few minutes getting to know what they’re passionate about. There’s nothing more rewarding. When I meet with you, my goal is to get to know you and your book idea. I’m rooting for you as you sit down and we begin our conversation. Every writer has something valuable to offer, and I’m always on the lookout for the golden nugget you’ll share. But what if you’re nervous? Many writers feel self-conscious when sitting down with a publisher or literary agent. In any social situation, the key to reducing butterflies is to take the focus off yourself. (Tweet this.) Don’t worry about what they think of your ideas, whether or not they like you, just focus on the other person. The easiest way to do this is to ask people about themselves, about their writing, about how their day is going. If you are genuinely interested in them, you will become interesting to them. So what do you say to a publisher or agent? The secret to success is thoughtful preparation. Assuming you want to talk about your book idea, remember this is a conversation, and start like you would in any conversation: with a bit of context or background. Take a moment to introduce yourself and establish rapport. My name is _____ and I wanted to meet with you because _____. I’ve been blogging for ______ (how long) and my blog is about _____ (brief description). I work as a _____ (if related to your book). Or, My ministry is _____. Today I want to tell you about my book which is currently called _____ . → Be prepared to talk “numbers.” Know your blog stats and number of email subscribers, Facebook fans, and Twitter and Instagram followers. Letting me know the work you’ve put into your project tells me you’re willing to undertake the work we have ahead. When you go to a conference, I hope your publisher and agent meetings are among the most enjoyable moments. It’s such a great opportunity to make positive connections. 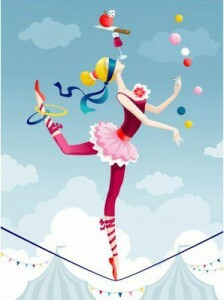 Be yourself, and try not to stress too much. 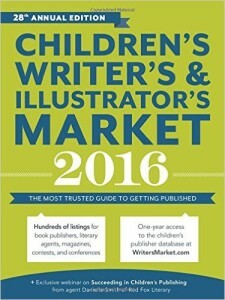 The post How to Talk with Publishers and Agents appeared first on Rachelle Gardner. 1. You have something important to say and it seems people want to hear it. 2. You understand that blogging is about offering something of value, NOT about promoting yourself and your books. 3. You enjoy blogging (for the most part, anyway). 4. You find blogging contributes to your creativity and enthusiasm for writing your books, rather than sucking all the energy out of you. 5. You can find the time for blogging without it completely stressing you out. 6. Your books have a highly defined target audience, making it easy to target your blog. 7. Your books are topical (especially non-fiction), so that you have a clear and obvious theme for your blog. 3. The whole idea stresses you out. 4. You honestly don’t have the time in your schedule to blog regularly. 5. You’ve been blogging for a year or more, and haven’t built up to a traffic level that seems worth it. Do you blog? If so, how’s it going? If not, why not? Comment below, or by clicking: HERE. The post To Blog or Not To Blog, That is the Question appeared first on Rachelle Gardner. Chuck Sambuchino and the Writers Digest team have chosen the three winners of the Worst Storyline Ever Contest 2.0. After his wife leaves him, an old, bald, former 80s rock star goes on a quest to reunite with his first love— his hair–but is he brave enough to endure a hair transplant or must he settle for a cheap wig in order to sport those big, long locks once again? Karl wants nothing more than to watch the kitchen linoleum curl all summer long but, when his wife insists on doing a time-lapse project of the event, Karl’s “me time” becomes a forced “we time” he soon resents. When a family intervention forces hemophobic vampire Bartholomew into a job at a blood bank to face his fears, he is soon enlisted by coworker, Estella, to drain the vault and make a run for it—awakening Bart to a whole new world of adventure and black market blood lust, with a girl he discovers is just his type. The post Winners! appeared first on Rachelle Gardner. 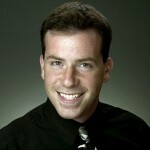 Guest Blogger: Chuck Sambuchino, editor and writer for Writer’s Digest, and host of the Guide To Literary Agents blog. 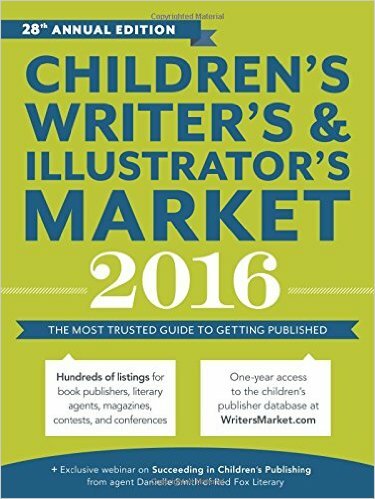 September 2015 sees the release of three of my new books, the 2016 Guide to Literary Agents, the 2016 Children’s Writer’s & Illustrator’s Market, and the anti-clown humor book When Clowns Attack: A Survival Guide. To celebrate their release, we are bringing back a popular recurring contest: The “Worst Storyline Ever”—a competition that encourages terrible loglines. Winners get prizes. But that’s all the examples I’m going to give you, because I’m not looking for good examples of a logline; I’m looking for bad examples. Terrible, stupid, “oh-my-gosh-that-idea-REEKS” examples. Stick to the format, but have fun with the idea. Your logline must be one sentence, 60 words or fewer, and explain what the movie/book is about. It’s what you put in that one sentence that will win you this competition. The trick is to make your logline a terribly creative idea that’s pitched in a minimal, professional manner. The contest will go until the end of the day, 11:59 p.m., PDT, Tuesday, October 20th, two weeks from today. Submissions received after that will not be considered. Chuck will judge the contest, with some possible input from other WD and WD Books staffers. To participate, simply leave a comment at the end of this post with your submission and your full name. Make sure we are able to reach you through your website or email. Comment by clicking: HERE. You can submit up to two (2) bad loglines. You can include both in the same comment if you wish. The contest is open to everyone of all ages, save those employees, officers and directors of GLA’s publisher, F+W: A Content and eCommerce Company (formerly F+W Media). If you have any questions about the contest, e-mail Chuck directly at [email protected] Do not leave them in the comments and do not e-mail Rachelle. A critique by Chuck Sambuchino of either your one-page query letter or one-page synopsis . 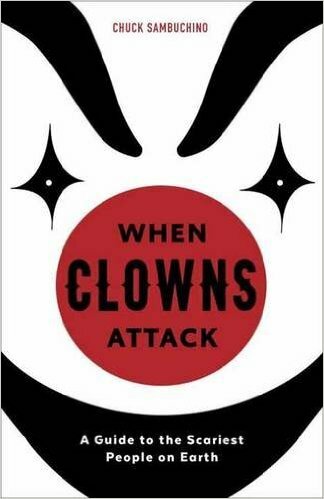 When Clowns Attack: A Survival Guide. Chuck Sambuchino is an editor and instructor for Writer’s Digest Books. Find him on Twitter. The post The Worst Storyline Ever Contest 2.0 appeared first on Rachelle Gardner. The post 5 Things To Do Before Hiring a Freelance Editor appeared first on Rachelle Gardner. Sometimes it’s hard to believe how difficult it can be to write about yourself in a bio—after all, you’re a writer! But I understand it’s not as simple as that, so here are a few tips to make it easier. Write your bio in first person for query letters, third person for most other purposes including proposals, book jackets, article bylines. Make it professional but you also need to convey personality and writing style. Don’t try too hard to be funny, but include something that makes you seem like a real person. What gives you credibility? What makes you interesting? What helps people connect with you? (When you’re on Twitter, Facebook or your blog, what kinds of posts seem to get the most comments?) These are things you can briefly include. If your book centers on something specific—the Civil War, for example—are you a member of a Civil War society? Have you published any articles in historical journals? Include that. Try not to include too much “resumé” type information–education, job history, etc. because it tends to be boring. Only include what’s relevant to the book you’re pitching. 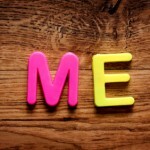 As you write a bio, consider carefully the purpose of the bio – who is the audience? 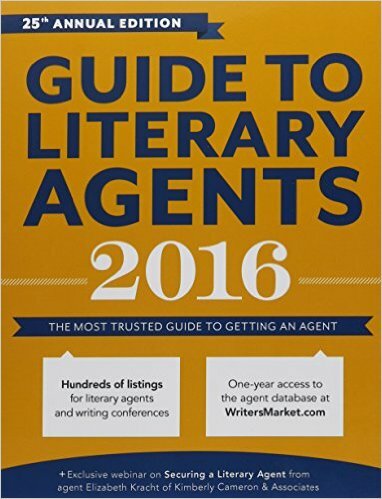 Is it agents and editors? Is it your blog readers? Tailor it to this audience. If you’re a member of a writers’ organization such as SCBWI, ACFW or ASJA, you can mention it. You can mention if you’re a member of critique group or if you have a degree in literature or writing. For FICTION, if you’re unpublished, it should be one to two sentences—about 50 words or fewer. For NON-FICTION, it should be longer, enough sentences to establish your credits, credentials, and/or platform in the subject matter of your book. Read author bios in a dozen different books. Note what you like and don’t like. Make a list of things you MIGHT want to say about yourself. Try to list 20 to 30 things—don’t self-edit, because you don’t want to leave anything out. Later you can choose the best elements to include. Write two or three bios of different lengths and keep them on file so that you have them ready when you need them. Trade author bios with a writer friend and help each other make them interesting. What has worked for you? Comment to this post and share! 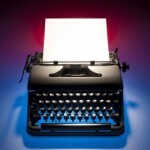 The post How to Write an Author Bio They’ll Remember appeared first on Rachelle Gardner. 12. What the Heck is Content Marketing? 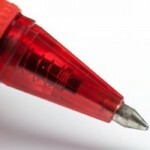 The post What the Heck is Content Marketing? appeared first on Rachelle Gardner. Publishers did not create this brave new techno-world we live in. It is not the publishers who brought our society to a place where it’s no longer possible to “market” books the old-fashioned way. It’s not the publishers’ fault that average human beings everywhere are being bombarded with literally thousands of pieces of information every day, making it more challenging than ever to draw a person’s attention to one little book. Publishing is an “old world” industry, figuring out, day by day, how to thrive in this “new world.” We all face these challenges together. We all have to figure out how to get people to want to read our words… to want to PAY to read our words. We all have to figure out how to get our books to rise above the “clutter” and get the attention of readers who are willing to pay for them. Those of you who find yourself bemoaning that “writers are expected to do everything” and concluding “we might as well self-publish” — perhaps the self-publishing route will work out better for you. For certain kinds of books and certain authors, it’s working out great. Give it a try! But I want to point out that publishers are still in business because of the value they bring to the table — not just in marketing but in every aspect of the editing, production, and selling of books. It is harder these days to sell books than ever before, yes, but publishers are more than just a business selling widgets, they’re entities who take seriously the responsibility of preserving and disseminating the written word. And so publishing persists, despite the challenges, despite our changing world. Part of the value publishers bring is a sense of history, a sense of tradition and permanence. Many authors still want to be a part of that. It’s about great stories and important thoughts. It’s about legacy. It’s about a dream. People in publishing still see this dream as worth it. They’re willing to swim against the tide because publishing isn’t just a business, it’s a life, it’s a calling, it’s a passion. To all writers who believe in the dream, who have the passion, who feel called to the legacy — I’m right there with you, and so is everyone else who has staked their livelihood on this crazy, unpredictable, totally unrealistic business called publishing. Thanks for being here, and hanging on for the ride. To those who are frustrated by the ways it seems publishing can’t meet your expectations, I commiserate with you and I apologize that things aren’t the way we wish they could be. To each and every author, I sincerely wish the very best for you as you seek your own way of getting your book to its intended audience. I am doing my best to be a positive and helpful part of this process. Are you in it for the legacy? Or something else? Publishing is an old world industry, figuring out how to thrive in this new world. Click to Tweet. Publishing isn’t just a business, it’s a life, it’s a calling, it’s a passion. Click to Tweet. To all writers who believe in the dream, the passion, the legacy – I’m with you. Click to Tweet. The post The Brave New World of Publishing appeared first on Rachelle Gardner. I blog every Wednesday at our agency site, Books & Such. To read my posts and participate in the comments, click HERE. I have an agent page on Facebook. You can follow me on Twitter. Check out my Pinterest boards. Or connect with me on LinkedIn. Scroll down for the latest posts here at my blog. The post Find Me Online appeared first on Rachelle Gardner. He has a good point, as underscored in The Guardian (UK). The article, “Authors’ incomes collapse to abject levels” is a review of a survey in the UK that indicated 11.5% of “professional writers” — those who dedicate the majority of their time to writing — earn their income solely from writing. It discusses the decrease in advances, the drop in royalties for established authors, and the fact that a few writers make a lot of money while the majority don’t. It put the median annual income of professional authors in the UK at less than $19,000. Not enough to support a family. • With self-published books now plentiful, there are more books than ever for readers to choose from. In the midst of these truths, writers may experience moments of disappointment and dejection. They might be anxious that a series of speed-bumps could signal the end of their writing career, sometimes before it has even started. Often they are questioning whether it’s time to give up. Some are sad, thinking their lifelong dream is dying. A few are wondering how they are going to pay the bills. • Being a published author is still an amazing experience even if it’s not your primary source of income. • Just because things didn’t go the way you envisioned doesn’t mean things can’t still go well — possibly after re-envisioning your goals. • People are still reading, meaning we still need writers. • There are more options than ever before for getting your work in front of readers. You might have to adjust your expectations regarding how much you’ll get paid for it. • The best way to deal with this new reality is to stand up and fight. Don’t let yourself settle in to the despair. You’re not a quitter — pull out that fighting spirit and decide to be a writer regardless of the obstacles. • Write your books. Share them with people. Don’t ignore reality. But also, don’t let yourself get trapped in despair. You can’t afford the time. Better get back to work! Have you experienced moments of despair over the state of publishing? How did you handle it? How do you recommend we all move forward? This post originally appeared at Books & Such. The post How to Respond to Alarming Changes appeared first on Rachelle Gardner. As a writer, you’re always going to find it necessary to “sell your stuff.” To do that, you need to create those all important sales materials for your book: The one-sentence summary. The query. The pitch paragraph. The elevator pitch. The proposal. But it’s still hard figuring out exactly the right way to pitch. You have to simplify your story and pitch a single plot thread and as few characters as possible. You have to be precise, and use specific (not vague) language. And you have to make it interesting, which means you need to find the most unique and special aspect of your story and make sure it’s covered in the pitch. So I’ve come up with a set of 11 questions that I recommend novelists work through before even starting to craft a pitch or summary. If you think about the answers to these questions, and write them down, you’ll be more equipped to find the right elements of your story to include in the pitch. Click HERE to read the post at Books & Such. The post 11 Questions for Crafting a Pitch appeared first on Rachelle Gardner. A couple of weeks ago I told you what the editorial process typically looks like inside a publishing house. Sometimes the editing is smooth and wonderful, but not always. Today I wanted to talk about what to do when it gets rocky. As a writer, you care deeply about your words and you’ve tried to get them just right. Hence your first encounter with an editor might be a little daunting. When they send you pages and pages of notes for revisions, you might be overwhelmed, depressed, and demoralized. Take heart… this is normal! I recommend you enter the editorial process with a humble and teachable spirit. The editing process is a terrific opportunity to learn how to improve your writing. Ask a lot of questions of your editor. Try to get their perspective. Click here to read the entire post at Books & Such. The post When Editing Goes Wrong appeared first on Rachelle Gardner. Over at Books & Such, we’re running the 2014 Books & Such Reader Survey. If you’d like to chime in, please click through to share your thoughts. The survey is anonymous, but if you leave a comment on today’s post on the Books & Such blog, you’ll be entered in a random drawing for a $25 Starbucks gift card. Just our way of saying thank you for participating. When you comment, please feel free to share additional thoughts or suggestions about our blog. The survey will be open for 7 days so please respond by Tuesday, May 20, 2014. Thank you for letting us hear your voice! Click HERE to get to today’s post at Books & Such to leave a comment. The post Take Our Reader Poll appeared first on Rachelle Gardner. 19. Write the Whole Book Before Pitching? I’m blogging at Books & Such today. Here’s a preview. Classic wisdom for unpublished authors seeking traditional publication has been that if you’re writing a novel (fiction), you need a complete manuscript. 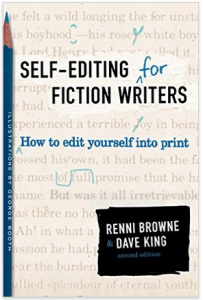 If you’re writing non-fiction, you need a book proposal plus two or three sample chapters. If you’re writing a memoir, who knows — everybody has a different opinion. Here’s what is true and will always be true: unpublished fiction authors MUST have a complete novel before trying to get an agent or publisher. No question, no exceptions. But things are changing in publishing, especially when it comes to non-fiction. In some ways, the standards are higher. It’s more of a risk for a publisher to say “yes” to an unproven author. And in light of this reality, I’m going to make a bold and probably controversial suggestion. Consider writing the whole book before you search for a publisher. 1. It lowers the risk for the publisher. Click here to read the whole post at Books & Such. The post Write the Whole Book Before Pitching? appeared first on Rachelle Gardner. 20. What’s Changed in Publishing? I began blogging as an agent in January of 2008, and it’s remarkable to look back over my past posts and notice how much has changed in six years. When I started, I didn’t even have a Kindle. Now my family owns five Kindles plus iPads and various other electronic devices, and I wouldn’t want to do this job without them. I wrote posts back then about how there was a stigma to self-publishing and I warned writers against it— if they wanted to be taken seriously. 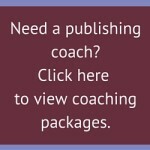 Now self-publishing is a normal and accepted option for writers. I wrote about how e-books were a minuscule percentage of any author’s total books sold. I was not even on Twitter until a year after I started the blog (January, 2009). Facebook and Twitter were still optional and sort of curiosities. What else has changed in the book business? The closing of Borders was an epic blow to the industry, many independent bookstores have closed, and pundits frequently discuss the future of Barnes & Noble. The post What’s Changed in Publishing? appeared first on Rachelle Gardner. 21. What’s Your Book About? I have a post up at PubSmart today. 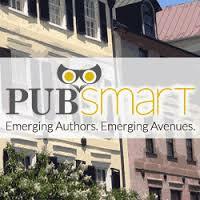 In case you haven’t heard, PubSmart is a new writers’ conference debuting this April in Charleston, SC, with the goal of bringing together self publishing, traditional, small press and hybrid. PubSmart is about introducing new models that lead to smart decisions about how to seize opportunities in today’s transformed book marketplace. I’m thrilled to be on the faculty of this terrific new conference! Keynote speakers are Hugh Howey and Jane Friedman, and the faculty includes heavy hitters from all walks of today’s expanded publishing world.Learn more on the PubSmartCon website. Everyone attends conference for their own reasons—to learn, to network, to get a break from home. One of the primary advantages of a conference is the opportunity to talk to people, including fellow writers and others in the industry. Naturally, one thing you’ll want to talk about is your work, whether you’re in a formal pitch session or just hanging out having drinks. But talking about our work is sometimes challenging! So here are seven tips for discussing your book(s) effectively. 2. While preparing, remember that you’re going to be talking to someone. 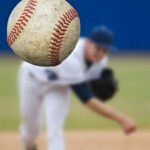 There are differences between verbal and written pitches. Your speaking voice is different from your writing voice. Make sure you don’t prepare something that sounds too “canned” i.e. written. →And don’t forget our special Facebook event today! Books for writers specially priced at 99 cents, plus all-day chats happening with the authors of these books. Click here for more info. The post What’s Your Book About? appeared first on Rachelle Gardner. Tomorrow (Friday 2/28) I’m participating in a fun online event in which authors of 16 e-books specifically for writers are discounting their books to 99 cents, and will be hanging out on a special Facebook page to chat and answer questions from writers. The graphic below shows all the books available, and each one is individually clickable. This is a great opportunity to expand your library of writer resources (dirt cheap!) and get some questions answered. The authors involved will be on Facebook at different times. I’ll be there 3 to 6pm EST. Click HERE to join the Facebook event, and then on Friday you can show up, hang out, chat, ask questions and enjoy talking books with your colleagues in the business! Each of these books is going to be 99 cents for Friday only, and then return to their regular prices. The post A Facebook + Amazon Event for Writers appeared first on Rachelle Gardner. I enjoyed Wendy’s post yesterday about how agents spend their time. She did a great job of describing how agents work on their clients’ behalf, and I wanted to add my own two cents to further explain how we organize our days. People frequently ask me about a typical day for an agent. 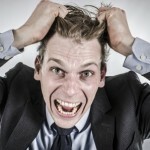 I think most agents will tell you — there are no typical days! With a large number of clients, working on a variety of projects, all in various stages of writing or publication, the days provide endlessly changing excitement. While agents always have a long to-do list, our most important job is to be responsive to our clients’ needs, as Wendy explained. The email box is always full, and fires erupt and need dousing with alarming regularity. So we begin each day with a “plan” and an awareness that we could end the day having not accomplished anything we’d planned. Fielding offers, negotiating deals, scrutinizing contracts, discussing clauses and terms with publishers, walking clients through their contracts, making sure the contract gets executed properly. Following up on advance and royalty payments, making sure publishers pay clients in a timely manner, examining royalty statements for accuracy. Click HERE to read the full post at Books & Such. The post A Typical Day for an Agent appeared first on Rachelle Gardner. 24. Is It Important Who You Know? Earlier this month at PubSmart, I co-taught a workshop on “setting yourself up for success” at the conference. I offered the idea that the participants’ most important connections would be with their fellow writers, not the agents, editors, or other professionals. Other writers are your fellow pilgrims on the writing-and-publishing journey—the ones who can still be there for you five or ten years into your writing career. It’s impossible to overstate the importance of building genuine relationships with writers who are in a similar place as you on the writing path. • The best thing you can do for your platform is write a great book. • Publishing isn’t about who you know, but what you write. For the most part, these are true statements. Nevertheless, networking with other authors can be tremendously valuable. CLICK HERE to read the complete post at Books & Such. The post Is It Important Who You Know? appeared first on Rachelle Gardner. 25. OMG! What if B&N Closes? “The report of my death was an exaggeration.” So said Mark Twain in 1897, and I’m wondering if Barnes & Noble might be saying the same thing right about now. 2. While it could happen, we haven’t seen any evidence that B&N will be dead before 2015. This business is always rampant with rumors, and what good does it do? I prefer to ignore attention-seeking prognostications and wait for the real news. Now, let’s say Mr. Levin’s prediction is correct. What then? I daresay the world won’t end. Things will change for publishers and readers and everyone in between—but things have already been changing and we ought to be used to it by now. It’s not as if publishers are unaware that this could happen. And it’s not as if readers are clinging to B&N as their last and only hope for access to books. Let’s take a few of the statements in this article and expose them to the light. No offense to either Mr. Levin or Mr. Vigliano, but this is categorically untrue. Millions of readers are browsing just fine, thank you very much, online and in (gasp) libraries. Why do you think B&N is having so much trouble? Not just because of showrooming (people browsing in the store, then buying online.) But because many, many readers have already made the switch to online browsing and are having no trouble finding the reading material they want. This feels to me like the ranting of Luddites who can’t get used to this thing called the Internet. They can’t believe that it actually WORKS. Again, this statement is so untrue as to be almost ridiculous. Millions of readers are experiencing “serendipitous” sweet surprises much more often nowadays via the Internet than they ever could from walking into a bookstore. Oh, brother. I regularly find new authors and subjects I’d never considered—by tuning in to NPR and the Wall Street Journal, by following smart bloggers, by checking Facebook every now and then, by belonging to a book group, by browsing on Goodreads, and by having actual conversations with actual people. I have probably been in B&N five times in the last five years—and I read as many books as almost anyone I know. It took a lot more than B&N to drive many privately-owned bookstores out of business—it was the advent of digital books, and it was all the big stores (Borders, Walmart, Costco, etc), and it was Amazon. But think about it. If B&N folds, it might be exactly what we need to bring back the privately-owned local bookstore that knows how to serve its own community. Could B&N close this year? Sure. Would it be a tragedy of epic proportions? No, except for the fact that many would lose their jobs because of it. My heart goes out to those people. Publishers (and writers, and agents, and everyone else in the book food chain) will figure out how to rally. We’ve been adjusting to massive changes for half a decade already, and there’s more to come. I understand it’s difficult to deal with uncertainty (you have no idea how well I understand this). But I’m so over the drama, and the fear, and the hand-wringing. Let’s keep looking ahead at the possible changes in our industry, and asking ourselves: What’s good about this change? How does it bring us into the future? What do I need to do to adjust to this change? Does it offer any opportunity for me? Barnes & Noble closing? Agent @RachelleGardner says: Everybody get a grip. Click to Tweet. Could B&N close this year? Sure. A tragedy of epic proportions? No, says agent @RachelleGardner. Click to Tweet. “The report of my death was an exaggeration.” Mark Twain–and Barnes & Noble? Click to Tweet. The post OMG! What if B&N Closes? appeared first on Rachelle Gardner.